Limato has been a QIPCO British Champions Series regular for several years – showing his best form in the sprint category. Unbeaten in four starts as a two-year-old, in 2014, he picked up from where he left off by landing the Group 3 Pavilion Stakes at Ascot on his return in 2015. He suffered a narrow reverse at Haydock next time when the ground was slower than ideal but bounced right back to form when runner-up to Muhaarar in the Commonwealth Cup at Royal Ascot. Stepped up to 7f, he waltzed home in a Group 2 next time and ended his year with a second to Make Believe in the Qatar Prix De La Foret over the same trip. On his return in 2016, he finished fourth to Belardo in the Al Shaqab Lockinge Stakes at Newbury when his stable was out of sorts and the easy surface not ideal. 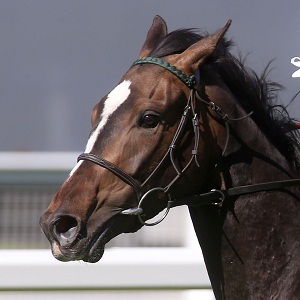 A return to six furlongs for the Darley July Cup brought a spectacular return to winning form – Limato scoring in tremendous style by two lengths. He had six Group One winners behind – including a trio who had won sprints at Royal Ascot the previous month. Known at home as Mr Angry, he made a lot of punters happy that day as he went off 9/2 favourite. He also started favourite for his next start in the Coolmore Nunthorpe Stakes, and, on his first start over five furlongs, ran another cracker – finding only Mecca’s Angel too strong. He was favourite to go one better in the 32Red Sprint Cup at Haydock 15 days later but was a late withdrawal after heavy rain turned the ground soft. That was forgotten when he easily went one better in the latest running of the Qatar Prix De La Foret. He failed to make an impact over a mile at the Breeders’ Cup but Henry Candy, his trainer, has said he would stick to sprinting in 2017. On his first start of the year he failed to make an impact in the Al Quoz Sprint at Meydan. The softish ground was not ideal for him and he injured muscles. He got firmly back on track when a close third behind The Tin Man and Tasleet in the Diamond Jubilee Stakes at Royal Ascot, and followed that with an excellent second to Harry Angel when defending his July Cup crown. Later in the season, upped to 7f, Limato was an impressive winner of the Group 2 Challenge Stakes at Newmarket. In 2018, his connections have again tested him over a mile but after heavy defeats in the Al Shaqab Lockinge Stakes and Queen Anne Stakes sent him back sprinting. There was no immediate improvement when he contested the July Cup for a third time. He trailed home eleventh of 13 but then landed Listed races at Newmarket and York before winning the Challenge Stakes for a second time. On his latest start he failed to figure in the QIPCO British Champions Sprint at Ascot, probably finding the round softer than he prefers.